In 1907 a timber merchant, one Helmer, bought the Walenburch country estate. He had the existing villa torn down and a classicist country house built in its stead. 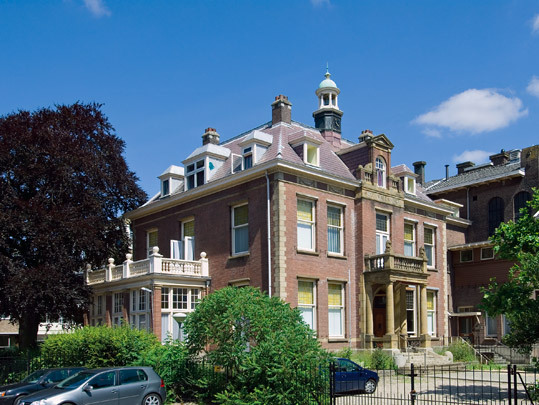 Designed by Ed Cuypers, a nephew of the famous architect Pierre Cuypers, it has a symmetrical parti with an additional entry zone with pillars and a balcony. The flattened shell roof sports a small tower. Its interior decorations were given a cleaning up when the villa became a convent in 1919. An infant school and a secondary school for girls were later built in the grounds.